Journaling is a great writing activity because it’s very adaptable. Journal prompts are only limited by your imagination. A great extension of journaling is writing a day in the life story. Homeschooling families make excellent and interesting subjects–there’s always something going on, even if it’s just a quiet read-a-thon. A day in the life story is just that–a description of a typical or not so typical day in the life of your family who also happens to homeschool. These stories do not need to be an hour by hour account of every little thing that happens. Show your children how to pick out interesting snapshots or conversations, lessons, co-op discussions, interactions with siblings, funny moments, mishaps while on the road, etc. and how to describe those scenes using vivid language. A handful of scenes should be sufficient for a nice balanced look at your homeschool day. Weekend days count, too. There are a variety of ways you can incorporate a day in the life story into your creative writing lessons. Here are some ideas to get you started. Writing about a single day is easiest. Your child can write about today or she can hand pick a specific day such as “the best day ever“, a birthday, a holiday celebration, or a CrAzY day. Your child can even create a fictional character and write about a day in the character’s life. You can download a story starter template for this type of creative writing, or you can create your own. Writing an ongoing day in the life story is much like keeping a diary. You can encourage your writer to write shorter entries every day or longer entries several days a week for a specific time period or for as long as there is interest. Let two writers be better than one—siblings make excellent co-writers. Writers can alternate paragraphs, times of day, or even perspectives on the goings on in your homeschool. Sometimes a sibling’s idea can inspire his co-writer to think of something new to add, to spur him to go off in a completly new direction, or to add a little pizazz to his own style of writing. Also, pairing a stronger writer with a reluctant or an unenthusiastic writer, can act as a teachable moment between siblings. Do you have more than two ready, willing and able writers? Go with it! 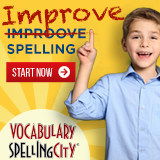 Any writing activity that sparks interest is a great writing activity for your homeschool. An easy way to distinguish between writers is to let each one choose a different color pencil or pen. Did your writer really enjoy this activity? Did she really shine? Keep the writing momentum going by letting her write multiple stories. Maybe she’d love to write one each week. Maybe more. The more the merrier, especially if she shows interest or feels like this is her niche. Write a family-based tall tale or just add taller snippets here and there. Write it like a screenplay with conversations. Help young children who have a story to tell, but aren’t quite ready to print yet by acting as their scribe. Help younger, less experienced writers to fill in the blanks by creating a simple day in the life template. Writers can complete sentences, add descriptive words, and expand on your ideas. Write a sample day in the life. 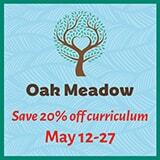 Feel free to make it fun or funny and enjoy a little impromptu celebration of your homeschool journey. Keep these stories in a special binder and refer back to them throughout the year. If you’re having a difficult day or week, take a time out and read some of the more positive or funny stories aloud for a great pick me up or inspiration. Let your kids read them aloud for reading practice. Let writers exchange their story with siblings for editing practice. Remind editors to be mindful of their sibling’s feelings and creative spirit by offering constructive suggestions. Have your children written a day in the life story? How did it go? 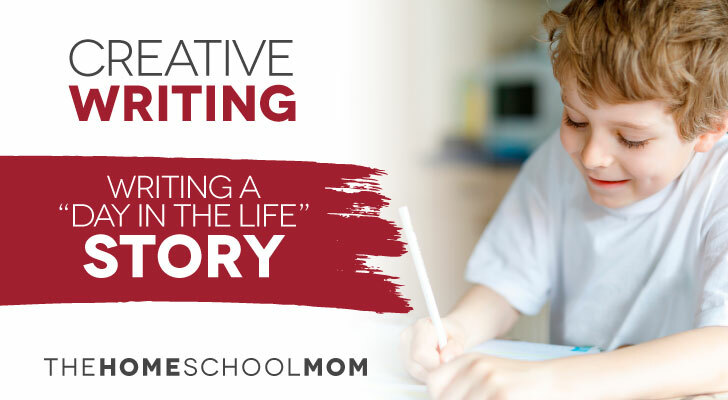 Do you have a creative twist or a unique way to incorporate this type of writing activity into your homeschool? Please, share your ideas in the comment section below. We’d love to hear them.